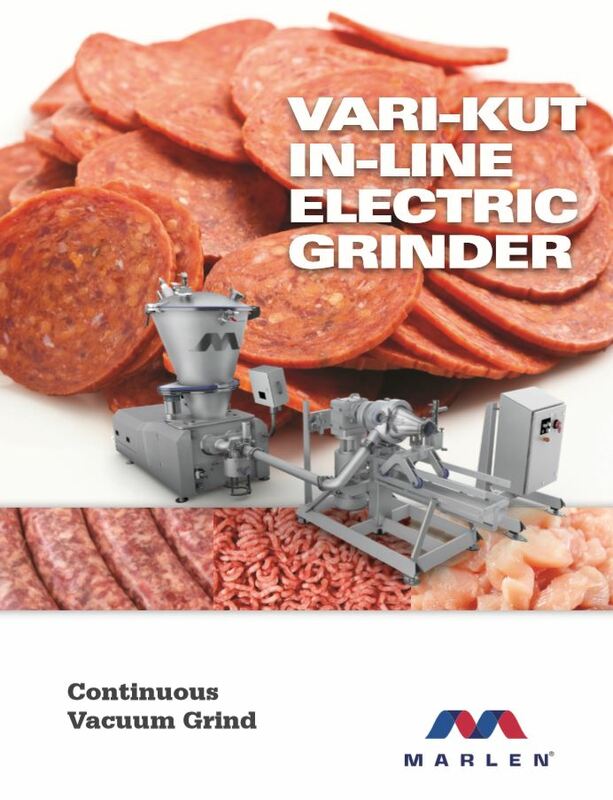 Marlen’s versatile electric in-line Grinder can be used in a variety of processing applications. When fed by a Marlen pump, the Vari-Kut produces improved particle definition, reduced smearing and cell damage, and only minimal temperature rise. Cutting speed is controlled by an electric motor which results in complete control of product texture and cut length to maximize product appearance. The Vari-Kut uses readily available standard plates and knives. Available in two sizes (8-5/8″ and 11″). 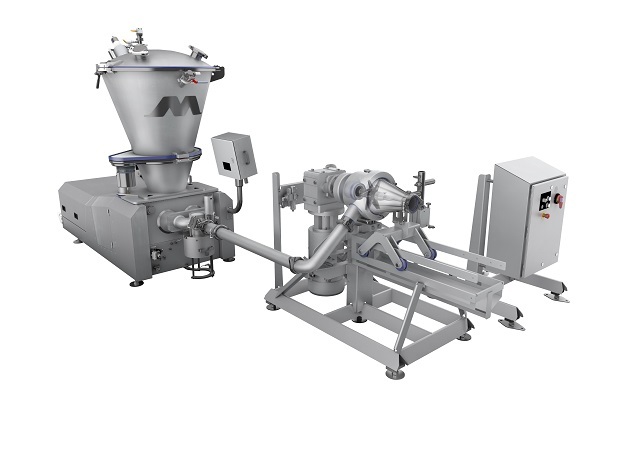 The In-Line grinder head can be rotated a full 360 degrees to allow an infinite variety of processing applications. It can be mounted at the pump or at a remote location, and easily mates with ancillary equipment. 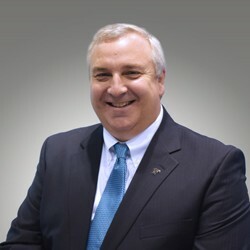 An optional automatic bone-collect system removes objectionable fragments, and a vacuum option can be added to help improve product color and shelf life. The knife blades are designed to deliver a precise, clean cut that produces consistent particle definition, without smear. The single cut design results in decreased drying times and increased shelf life.